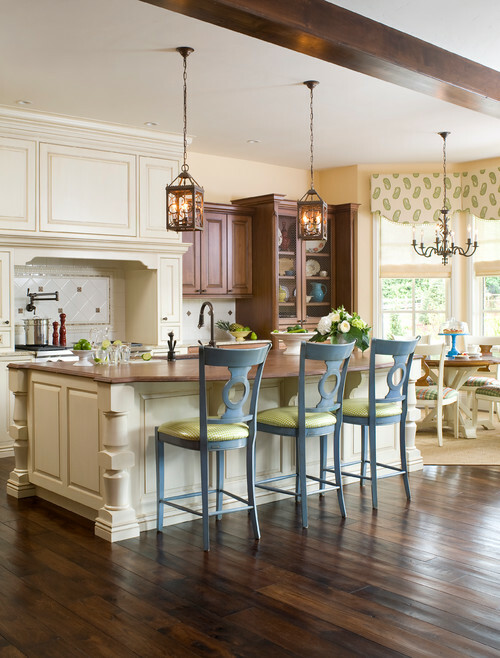 A Guide to Choosing Flooring in Your Kitchen - Lensis Builders, Inc. If you’re remodeling your kitchen, or simply just putting in new flooring, making a decision about what type of flooring to choose can be overwhelming. With so many options, how can you choose what will look the best integrated into your space, and what will be most functional for you? Well, there’s no single correct answer and we’ve created this guide to help you make the decision that’s right for your home. You can’t beat tile floors. They give your kitchen a clean, classic look. Ceramic tile is stain-resistant. 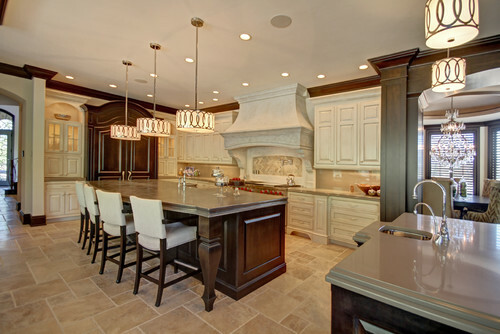 Sealed tile and grout are also water-resistant, which make it a great choice for the kitchen. To avoid slipping accidents in the kitchen, especially in a home with children or older adults, it’s smart to choose a tile that is certified slip-resistant. However, tile can be cold, provides a hard walking surface, and dropped glasses or dishes are unlikely to survive. Tile can be challenging to install yourself, so it is recommended that a professional be hired. 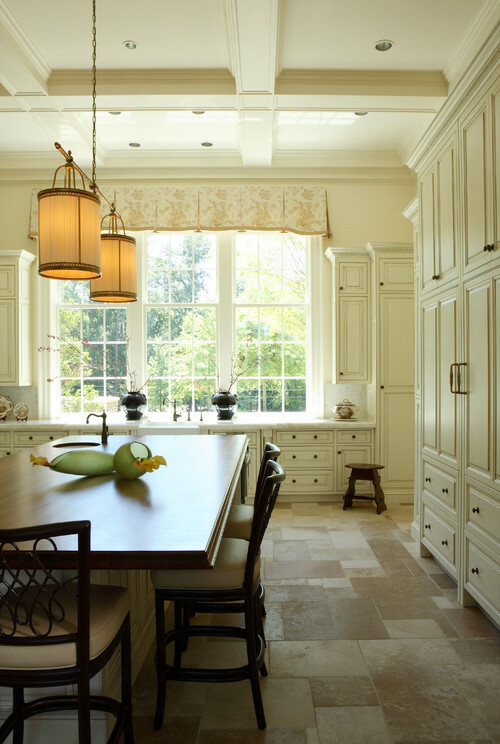 A timeless choice that rarely loses popularity, hardwood floors create a warm and classic look in the kitchen. 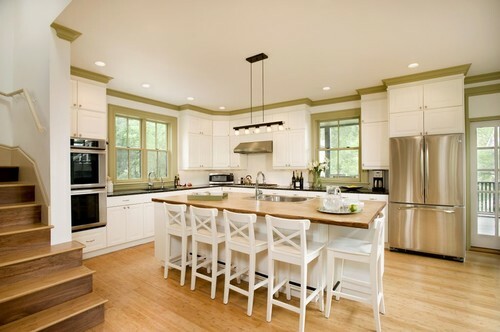 Engineered wood, which is made of real wood veneer backed by plywood, resists humidity better than solid wood and is a smart choice in a damp kitchen. There are also many prefinished options that withstand heavy foot traffic and are water resistant. Large slate tiles provide a sound, stylish surface, and the color hides dirt, pet hair, and more. The type of stone you choose and where you lay the stone in your house will determine if you need to seal it. Sealants and cleaning products vary depending on the stone type, so check with a stone retailer or manufacturer for specific recommendations. Cork is a great eco-friendly flooring option. It’s made from bark and is a sustainable resource, which makes it great for the environment. Cork is filled with air cells that make it naturally spongy and a comfortable surface for standing to prepare food and a safety zone for dropped glasses or dishes. Cork floors are water resistant, which makes them perfect for a kitchen. Adding a polyurethane topcoat will protect the floors from smaller spills that are cleaned wiped up. Installation can be tricky and it’s usually recommended that it be left to a professional. Vinyl sheet and tile are particularly good flooring choices for kitchens because they are able to withstand the common rigors of the space. Durability will vary based on the quality of the material purchased. However, vinyl will generally be water resistant, stain resistant, and easy to maintain. This functionality can be combined with advanced print and textural techniques, which allow you to achieve the look of a variety of flooring options. 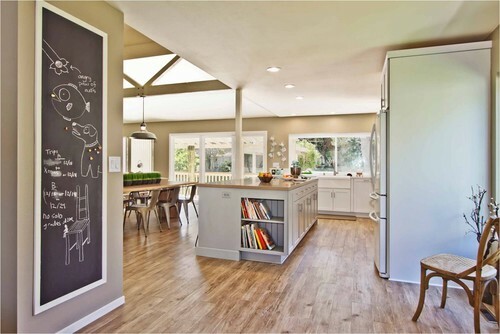 Vinyl is one of the most cost-efficient types of flooring to install in your kitchen. 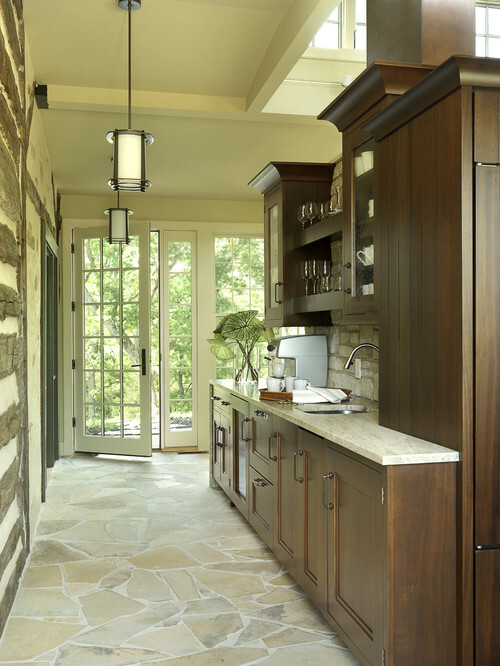 Flagstone flooring has a rustic appearance, and it comes in watery blue and green colors. The flooring is durable and easy to maintain by sweeping with a dry broom and washing with gentle laundry detergent and water. 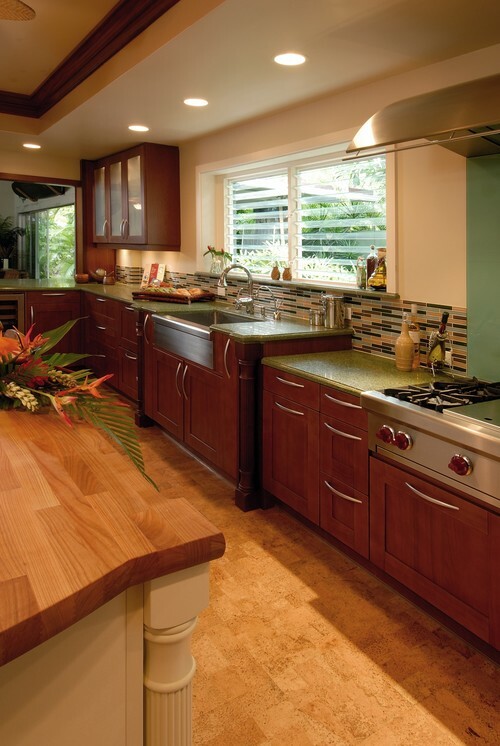 Renewable bamboo floors come in different patterns and plank sizes to complement a variety of kitchen styles. Bamboo can be stained in a variety of colors; just make sure to use water-base stains and top coats that are labeled as low-VOC emission products to ensure the bamboo stays earth-friendly.